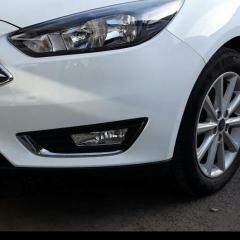 I stand to be corrected but I think sync version 3.0 is correct and the latest for the Mk 3.5 focus. It’s the Mk 4 Focus that is version 3.3. For the map update you have to enter your VIN number on the ford site and hopefully you will be offered the latest map update which is F8. I say hopefully because if you read this thread there are many of us including me that have yet to be offered the correct F8 map update file. You'll only get the map date download offered to you when it becomes available which it isn't yet because of problems at Ford as outlined on many posts on this forum and elsewhere. I am guessing there is nothing wrong with the actual update itself ie F8, and it is just a problem with the roll out. I say this because there are some, myself included, who are currently running the F8 update with no problems. 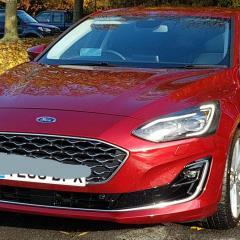 I downloaded via the official Ford site about 2 months ago now. Thanks for the reply, much appreciated, I have just been on the Ford site and it shows a map update, I attempted to install this but it failed to do it, the car screen said update completed but the map had not updated, then I read that the flash drive needs to be at least 32 GB and the one I was using is just 16 gb, so ordered a 64 gb and I will then try again. How big was the update that you put on the flash drive? On the Ford site it was shown as 2.6 gb, so I would have thought my flash drive was large enough, I will try again when the 64 gb drive arrives later this week. That’s isn't the map update, that is the software update to bring it up to the correct Build 18025. You need to now go back to the update site and upload the log file from the USB flash drive so that the server recognises you are up to date, then you would be offered the map update - although right now the update isn’t working so you won’t get offered it and if you do it will be a 0MB file. Thanks for that information, but I did the software and I am on build 18025, the Ford site then showed that there is an update for the map, (I have a very old 4 15), and clearly even if, as you say, there are currently problems with the latest map update, the fact I have been using a far too small capacity flash drive, meant I was always going to fail. Hopefully, by the time I receive my 64g flash drive the problems with Fords latest map update will have been resolved, and thanks again for your input. Just checked again on the ford website and I am still getting the following message. "You'll be pleased to hear your Maps software is already up-to-date"
I have now received the 64g flash drive, however, having updated sync and verified the installation, there is no option to update the maps, any idea where I can find this please? ; SYNC3 Dealer Assembly Upgrade - Release 3.3.16 - Only for Nav/EU assemblies. Will give that a try and see what happens! 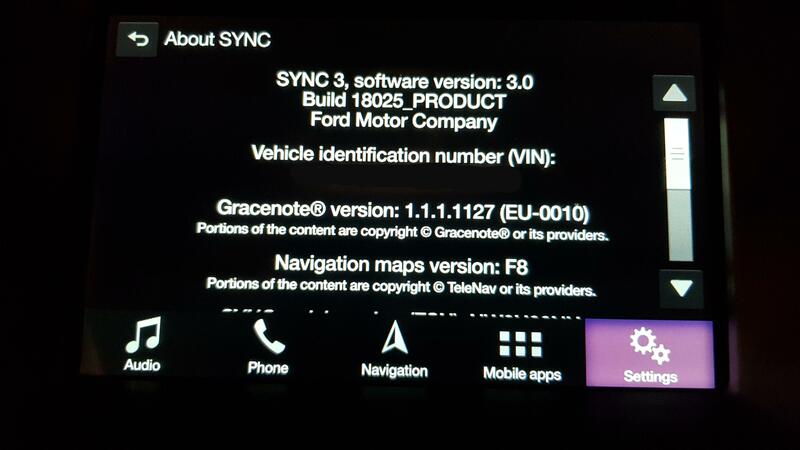 As already explained the F8 update download has been withdrawn by Ford as it was corrupted. They are due to release a new version sometime ??? Thanks for that link, after I did my last post I found the link that you had posted earlier. It's taking ages to download, ever with my 70 mbps speed, I think their server may be slowed down by the number of people attempting to download the update. then if theres an issue just rerun the same command and it will carry on where it was interrupted. Or use another download manager of your choosing. I am now downloading the above software from the source above could you answer a few questions ? 1/ Do you unzip like the other files from the Ford website. 2/ Will it invalidate my guarantee. 3/ Does it download a file on my pen drive at the end to tell Ford that the upgrade has happened. 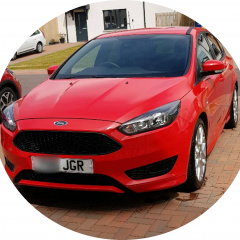 I will be doing this on a Mk4 Focus with the latest sync3 software, the ford site is telling me that my map software is upto date. Its the same zip file the website would offer you, your just downloading it from ford directly rather than clicking the link from the site. Unzip it and copy it to the USB stick just like the ford instructions say. I don't believe map updates create an xml file to re upload to Ford, I've only seen them doing software updates not maps. @DA-RS is right, there is no log file created. I think that once the system ‘gives’ you the map update it assumes you will install it and marks you as up to date. I am having problems. Downloaded the 25bg file, unzipped it to the flash drive which took ages, and when I looked it it, on the flash drive there were several files and again totalling 25gb, anyway I tried to update the car maps but all I got was something like "indexing USB files" and nothing else. So I am lost as to what to do now.